A Conundrum - Solved! (See page 199 of the book). 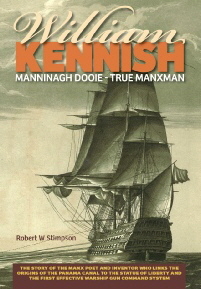 Following the discovery of a photograph (right) in the collection of William Kennish’s documents located in 2011 in the USA, the author was uncertain as to whether it was a hitherto unpublished photograph of William - or not! It was published on page 199 with a question mark about it - and a definitive answer was found just over two months after the book was published, during late January 2012. Enquiries were made to the UK centre of expertise relating to Anatomy and human Identification at the University of Dundee, and the author is greatly indebted to Professor Caroline Wilkinson, Professor of Cranofacial Identification at the College of Life Sciences at the University of Dundee, who has examined these two photographs and determined “with some degree of certainty” they are of different men. 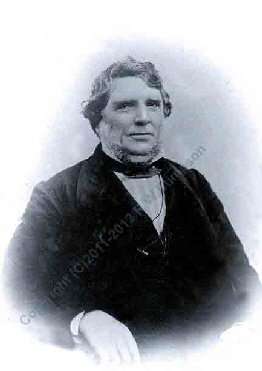 A now unknown Victorian Gentleman, not William Kennish in his later years as originally thought - but very likely to be a member of his later family. 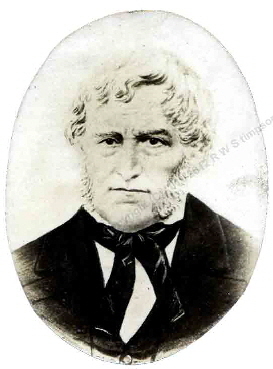 William Kennish, from a glass plate photograph held by Manx Historian and Captain of Onchan Parish, Mr Peter Kelly. It is believed to have been taken between 1844 and 1848.